Have you been made responsible for buying the retirement gifts in your office? Panicking at the thought? Here are some ideas on what to give to mark the occasion in the right way. Before you hit the shops and the web you need to get that money together. This can sometimes be a difficult task so be warned! It may be that your company has a fund reserved for retirement parties and gifts – if so, make sure you get access to it. If that is not the case then you are going to have to rely on the generosity of your co-workers. This can sometimes work very well, with everyone giving a reasonable amount of money in honour of the retiror. On the other hand you may have to badger the less generous among you to contribute and this can sometimes be awkward. The best way of avoiding any feelings of resentment is to give people plenty of notice. Send round an email two weeks before you need the money to ensure that everyone involved is aware of their responsibilities and comes prepared, with notes in hand! There are some classic retirement gifts that can be given to anyone and it doesn’t matter whether they are male or female. The most stereotypical retirement gift out there is a watch. An expensive, premium branded watch is probably the best gift you can give, mainly because it is a powerful symbol of that person’s value to the company. If the budget heads into three figures this may be the best option for you. It might be that the person you are giving to already has a quality watch or they just might appreciate something different. If you have heard that traveling features high on the agenda in their retirement, why not get them some travel vouchers? Package the vouchers along with an expensive branded suitcase or holdall, throw into some guidebooks to their dream destination and you have the perfect gift! 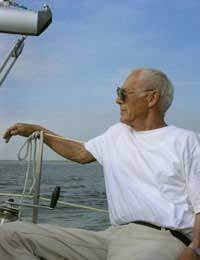 In the ideal world, retirement equals more leisure time. If he is a keen sportsman, who intends to spend a great deal more time at the green - and the Clubhouse - get something that he is going to really appreciate. A new set of clubs, personal tuition with a legendary golfer or even a membership to a famous course will definitely impress! If he prefers sailing, tennis or cycling, just apply the same rule - do your research and make the gift special. If she has worked hard, she deserves to be treated. What could be better than an all expenses paid weekend or week away at a luxury spa? If she has mentioned a particular hotel or holiday destination that she would simply love to visit, make the preliminary reservation. Explain the situation to the hotel or travel company, pay the cost in advance and let her choose when she wants to jet off for some serious R and R. What could be better than that after decades of hard work? If she is planning a new life abroad after her retirement, and has already embarked upon moving her and her life to another country, she will appreciate some help. Put together a package of thoughtful gifts that will give a much-needed helping hand - pre-paid treatments at a local beauty salon, vouchers for language lessons, gourmet cooking lessons or even a parcel of her favourite things from Blighty! Retirement gifts can sometimes be tricky. You may be concerned that what you have purchased is not grand enough. All we will say is relax. If you take your time, really think about the type of gift, then you simply cannot fail.